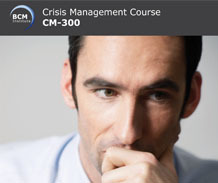 The BCM-Institute CC-300: Crisis Communication Implementer course is a 2-day intermediate course best suited for business continuity management (BCM) professionals wo are tasked to assist or provide crisis communication plans as part of the job scope. 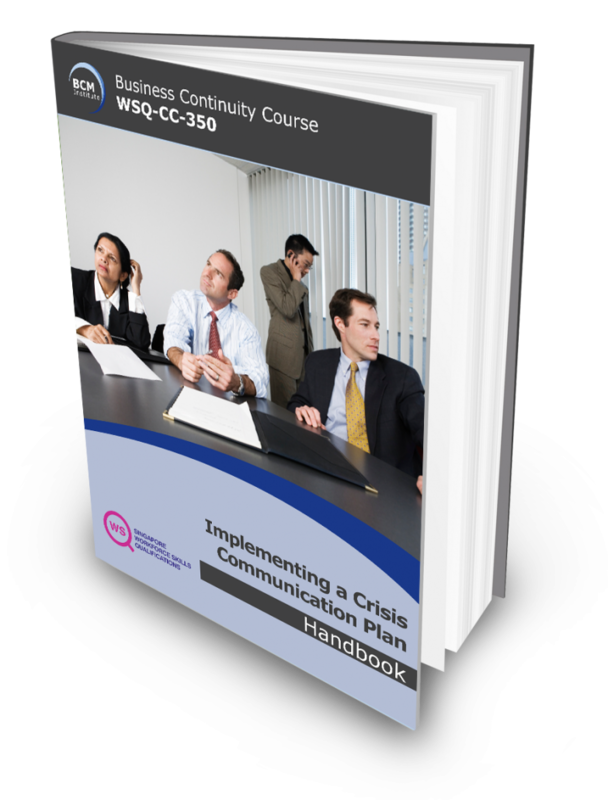 The Crisis Communication Implementer is unique in that it would address both the business continuity and crisis communication needs of an organisation. It is meant to assist and provide the relevant skillset that is unique to the BCM professionals in the situation. Crisis Communication Certified Specialist (CCCS) Certification is awarded to participants who successfully passed a 2 and 1/2 hour 100 Multiple Choice Question (MCQ) based Qualifying CCCS examination. Upon passing the exam, they would need to send in an application form detailing their 1 year of Crisis Communication experience. It should be sent along with the SGD75 application processing fees. Only those deemed to have the necessary and relevant experience would be granted the certificate. Certifications are awarded by an independent group of assessors. Experienced business continuity professionals tasked to assist in crisis communication. 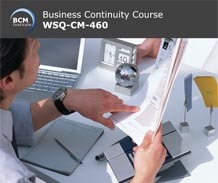 Business continuity professionals tasked to perform a gap analysis on its crisis communication effort. Novice and newly appointed crisis communication and support teams members. BC Managers/ Coordinators and their Project Team members, and CC/CM/BC/Disaster Recovery (DR) Team Leaders would benefit from the workshop. The Qualifying Crisis Communication examination is a 2 and 1/2 hour, 100 multiple choice questions online invigilated examination. 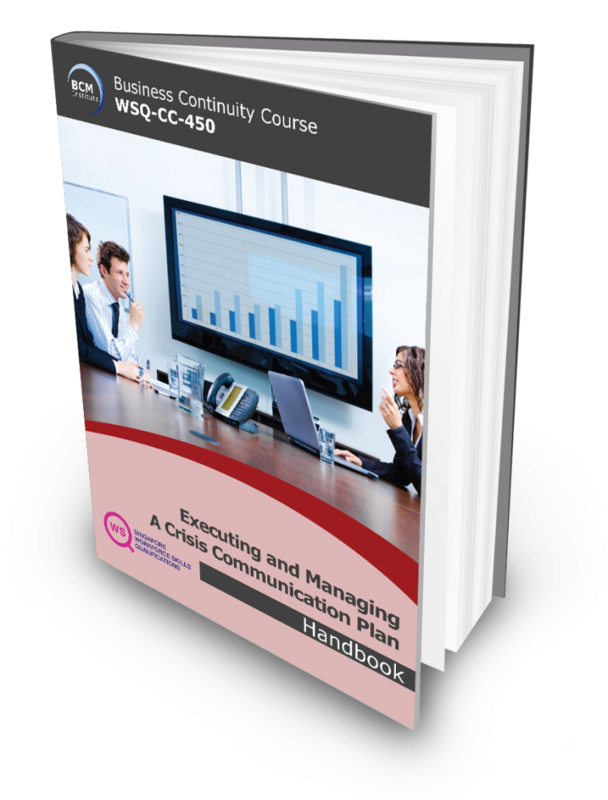 Candidates who achieve a passing score of 75% or higher are eligible to apply for the BCM Institute’s Crisis Communication Certified Specialist (CCCS) certification. The examination fee along with 1 re-examination fees is included as part of the course fee. The Qualfying CCCS examination and re-examination fees is part of the course fees and cannot be omitted or seperated from the course fees. Course would only take place if the minimum class size is met. BCM Institute reserves the right to alter the course content, course location, cancel or reschedule the course at any time without liability. In these circumstances, participants will be offered for deferment to the next run of the same course.